Whether you are of Asian decent, or (more importantly) you are just attracted to those who are, the sites in this section might be of interest to you. We have categorized a large number of online dating (and social networking) sites focused on the Asian community, and broken them out based on the area on which they concentrate. If you are looking for an 'Asian lover', then you are definitely in the right place...although the first step is to find the right site for you. Asia FriendFinder, the ultimate in Asia Online Personals. Free to sign up! Fast, fun, and anonymous! Asia Friendfinder is the most popular place for Asian Singles looking to meet others for romance, dating, friendship and more! 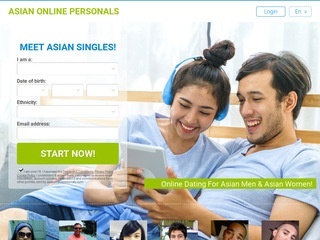 Click 2 Asia - Where Asian Singles Click! "Click2Asia is the premier Asian online dating destination on the web. Here you can find your ideal Asian partner for everything from pen pals, casual dating, to serious relationships." As part of one of the largest dating networks, Philipines Online Dating helps introduce Filipino singles. If you are looking for a quality dating site offering online personals, email & chat for singles in the Philipines, this site is worth a look. 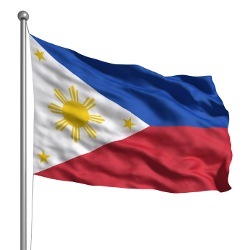 Philippines Passions is designed specifically for the people of the Philippines, those attracted to the Philippines, and anyone with a love of the Filopino people. Aside from all the usual features specific to online dating and social networking sites, Philippines Passions is 100% free and includes groups that are specific to the Philippines (ie. political groups, sports related groups, etc). It only takes a moment to click through to check it out and see what you think! Looking for fun Filipino singles? Well, this seems like the site for you. Take avantage of a large number of online dating features to find your Filipino soulmate, whether in your local area, or in the Philippines. "FilipinoCupid.com is a Filipino dating and personals site that assists Filipinos to find friendship and long-term relationships with people from around the world. You can use our site to find Filipino singles, Filipino ladies seeking romance or Philippines singles seeking friendship or pen pals Get started now! - Join for free to start meeting Filipino ladies for dating or romance." "The purpose of the Filipino Friendfinder site is to make it as easy as possible for you to meet people, using the power of the internet. At Filipino Friendfinder, you'll find a community of people using the site as a tool to make connections and find partners for dating, romance, friendship, and a variety of encounters." "Develope a relationship with some of the sweetest girls in the world, from small Philippine towns on the peacful, quiet Island of Negros Oriental. These girls don't care how old a man is or how much money he has, they only want a happy, stable marriage."